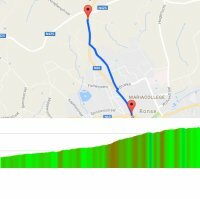 At 200 kilometres, the 2017 edition of Kuurne-Brussels-Kuurne takes in twelve Flemish hills, yet the last 50 kilometres are pan flat. Sagan, Rowe, Trentin, Benoot and title defender battle it out in the finale with the World Champion fastest. Sunday, 26 February 2017 – Kuurne-Brussels-Kuurne is the most sprinters friendly of all Flemish Classics. Altough the route takes in twelve 'hellingen' the last 50 kilometres are pan flat. Kuurne-Brussels-Kuurne totals 200.7 kilometres. In the 2017 edition of Kuurne-Brussels-Kuurne Peter Sagan, Greg Van Avermaet and Arnaud Démare go head to head with title defender Jasper Stuyven. Nacer Bouhanni is also competing. Cyclingstage.com brings you the startlist of Kuurne-Brussels-Kuurne. Often, Kuurne-Brussel-Kuurne boils down to spint of a select group. Yet, last year Jasper Stuyven took a different approach when he soloed to victory. Now the Flemish rider faces competition by sprinters Démare, Bouhanni and Kristoff, while Van Avermaet and Sagan are always a power to be reckoned with.